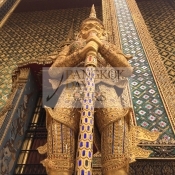 The Grand Palace is the most spectacular place in Bangkok, so if you only see one thing whilst in the city, this is the place to see. 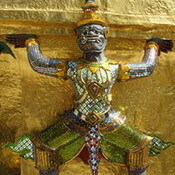 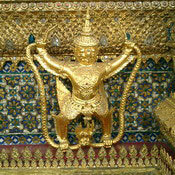 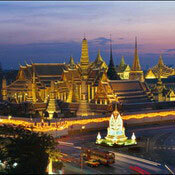 Thai people respectfully refer to it as Phra Borommaharatchawang. 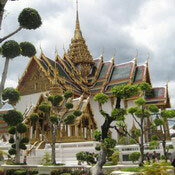 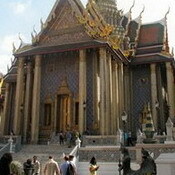 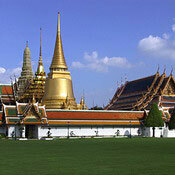 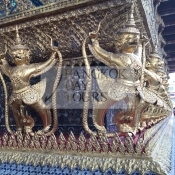 It served as the official residence of the King of Thailand from the 18th -20th century. 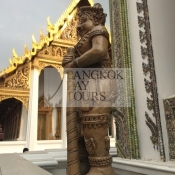 The Grand Palace complex, construction of which began in 1782 during the reign of King Rama I, sits on the east bank of the Chao Phraya River and is surrounded by a defensive wall 1,900 metres in length, which encloses an area of 218,400 square metres. 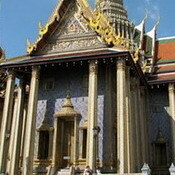 Within its walls, in times past, were the Thai war ministry, state departments, and even the mint. 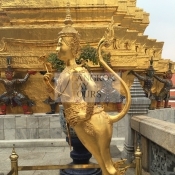 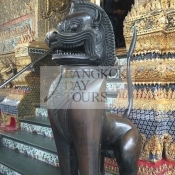 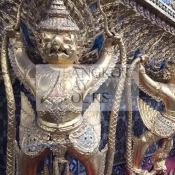 Within the palace complex are several impressive buildings including Wat Phra Kaeo or the Temple of the Emerald Buddha, which contains the revered Emerald Buddha that dates back to the 14th century. 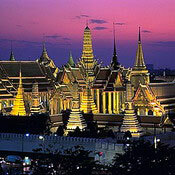 Thai Kings stopped living in the palace in the middle of the twentieth century, but the royal residence is still used by visiting dignitaries.